Following up on Katie Rodda’s post about discoveries, I wanted to share another discovery I made in the American Association of University Women’s (AAUW) Archives. 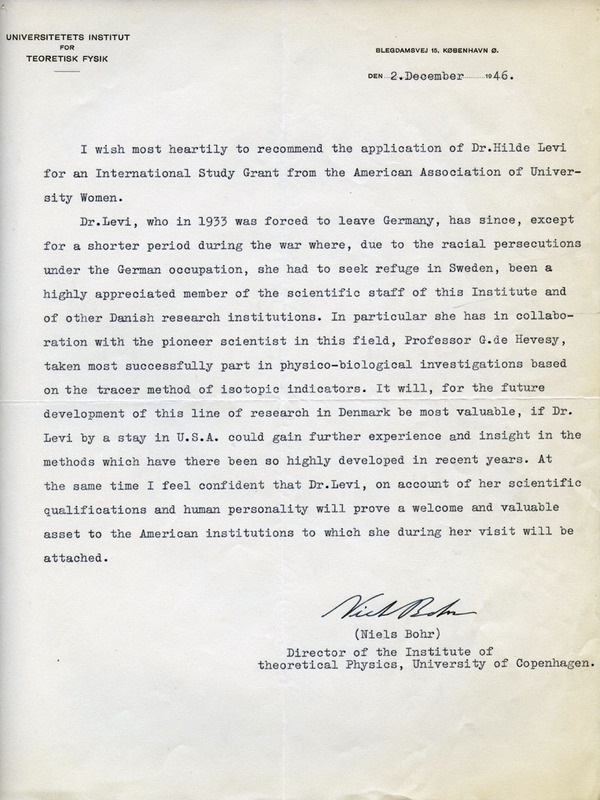 As I was processing the AAUW Fellowship Files, I came across the amazing story of Hilde Levi’s escape from the Nazis and three letters written by Nobel Prize-winning scientists: Niels Bohr, George de Hevesy, and James Franck. Just as Katie mentioned in her blog post, these letters could have easily been overlooked. If it wasn’t for remembering the Bohr model of the atom from my high school chemistry class, this discovery would have not been made! Click here to read my blog post about this discovery in the AAUW Archives.